Whether you're blessed to have a head of long, luscious locks well into your sixties or destined to begin balding at 20 - it's always worth keeping an eye out for early signs of male pattern baldness. As they say, prevention is better than cure, so it's better to give yourself the best opportunity. Let's have a look at what you should be watching out for. When does Male Pattern Baldness Start? There's no exact age when male pattern baldness begins, however, generally speaking; your risk starts at 20% in your twenties - escalating to 50% by your fifties, conveniently rising 10% per decade of your life. Several factors will contribute to the rate at which your lovely locks disperse from your head including; genetics, stress, diet, smoking and medications. There are a few warning signs to watch for, however, so if you're wondering how to tell if your hair is thinning - let's take a look. While there's no surefire way of knowing if your hair is about to depart to greener pastures, there are certain early signs of balding/hair loss that should have you considering your options. While you can never be sure if, or when, the receding may speed up or slow down - let's take a look at some of the first signs of balding. If you're wondering how to tell if you have a receding hairline, it's exactly this part of the head that you should be paying attention to. Watch for signs of a 'M' shaped hairline or horseshoe hairline shape which typically is one of the initial signs that things are about to start disappearing. 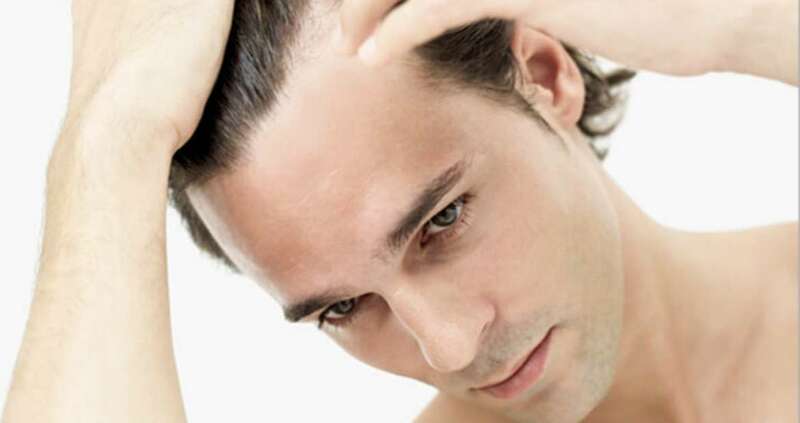 Alongside this, hair thinning is another characteristic that can give you an indication of balding. Either at the crown of the head, or further ahead near the fringe - if it's not growing back, prepare for the worst. While a widow's peak in youth adds further symmetry to the face, this, alongside a wave shape front thinning is a strong indicator that balding times are approaching... sorry. The stages of balding differ greatly from one man to the next, with no strict process as to how your balding hairline will recede. The Norwood scale below, however, shows a number of balding looks through the stages of early signs of receding hairlines to full blown monk do'. Starting with a light receding (sometimes as early as 18), balding patterns progress with a receding of the sides above the temples - gradually spreading back as the crown simultaneously spreads out. As with everything, the earlier you catch it the more chance you have of full restoration so if you don't want to lose all your locks - make a move early on. Certain men's hairline types like 'M' shaped or horseshoe are more prone to balding - if you've got one of these, you've drawn the short straw. Another, albeit more obvious, sign is hair thinning. If things are looking a little... lacklustre - you're likely on the track to a balding head. A widow's peak or wave shape front thinning is another strong indicator that balding is on the horizon. 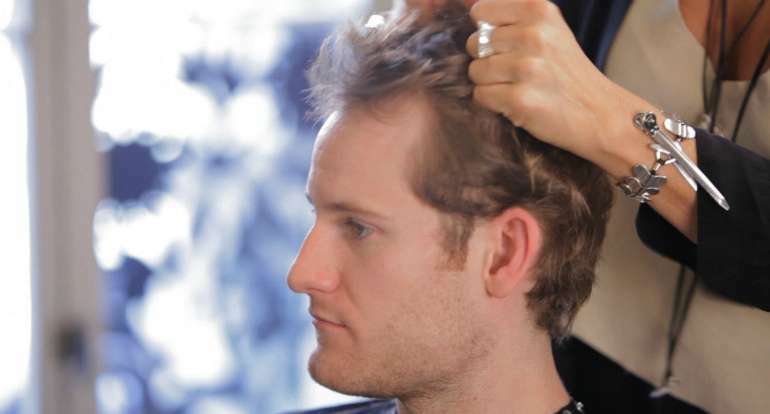 We've very aware that balding can be a traumatic process for the man involved, but by spotting the early warning signs can give you a head start in applying some preventative measures to your life. With the Norwood scale chart and a few balding pictures, you should be able to gauge where you stands and take matters into your own hands - good luck! If you are worried about this or your current rate of hair loss then it is best to speak to a professional hair doctor who can advise you on the best options.